This is the time of year when the Milky Way stretches overhead in all its glory. With Cygnus the Swan setting in the North West all the way east across the Milky Way to Orion the Hunter in the South East, the wealth of open clusters is staggering. Observing in December has its benefits. First of all, darkness falls in late afternoon. One can easily start an observing run right after dessert, but help with the dishes first. This is in stark contrast to starting around 10:30 p.m. (or later) locally at the end of June when the Sun is highest on the ecliptic. Next point is the weather. Although we are not yet locked into winter’s icy grip, clear nights can still be tolerable. If you wait long enough later during the night, you can get your early winter observing done without have to wait for January and February. I hope we do not see another winter like last year. With these points in mind, we now have a chance to catch our summer time favourites such as the Ring Nebula catalogued as M57 as well as M27 – the Dumbbell Nebula, one last time. 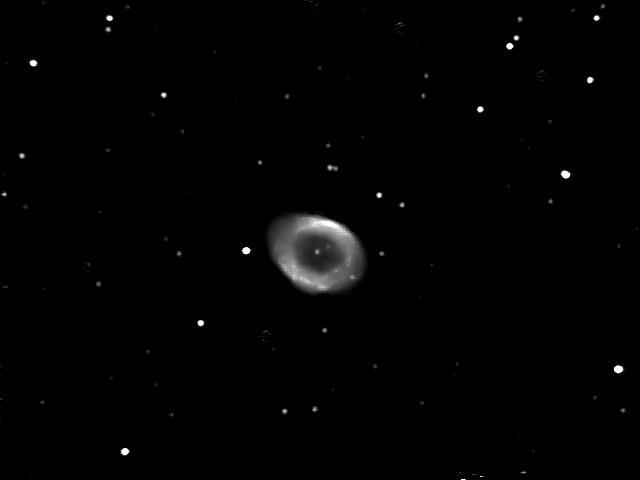 More commonly referred to as planetary nebulas M57 and 27 are classic examples of the subtle death of a star – the same fate that awaits our Sun in another five billion years or so. Then we have the feathery filaments of the Veil Nebula. Opposed to the planetary nebula, the Veil Nebula is the wispy remains of a star that exploded some 10,000 years ago. This supernova remnant is faint. If it weren’t for the star 52 Cygni to guide the way, it would be a challenge to locate. With ample observing time to scan the heavens from Cygnus to Orion, only a lawn chair and binoculars is all you need to nail down dozens of open clusters. Of course a telescope will show more stars, but some of these targets are larger than a telescope’s field. 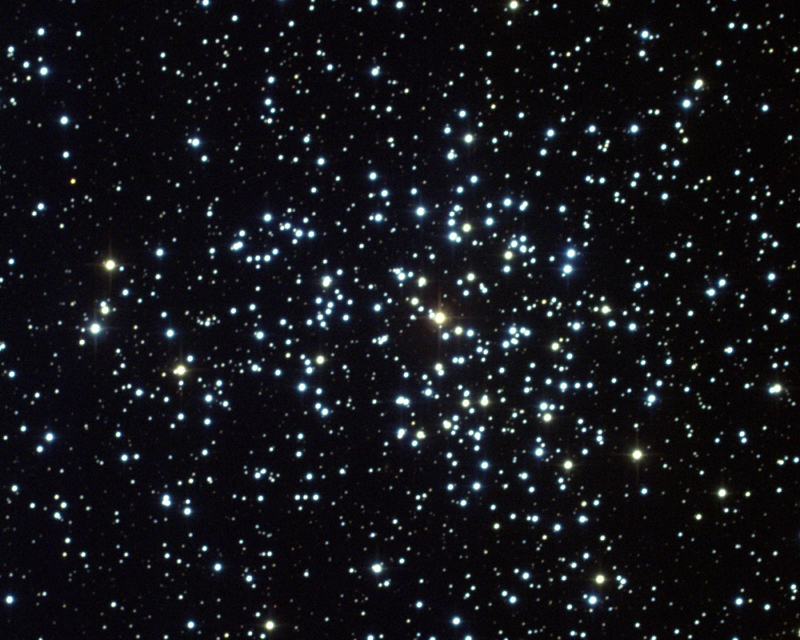 No matter which instrument you choose to hunt with, the famous Double Cluster in Perseus should be your first target. Consisting of NGC 869 and 884, they are located some 7,400 and 7,700 light years (ly) away. A couple of hundred light years separate the two balls of stars. I once saw this awesome cluster in a 17 inch f/4 telescope under dark skies. In a low power eyepiece, the stars were almost too bright but the over all view took on the appearance of diamonds on black velvet. Even naked eye, this 4th magnitude target is fairly easy to locate under dark skies. Located between King Cepheus and Queen Cassiopeia is a delightful blend of an open cluster NGC 7380 along with the nebulosity of Sh2-142. This object was discovered by Caroline Herschel in 1787 and is labeled as H VIII.77 in her brother’s catalogue. NGC7380 apparent size is stated at 25 arc minutes. It lies 7,200 ly away and is listed as magnitude 7.3. Today’s astrophotographers are doing excellent work in portraying the sky. 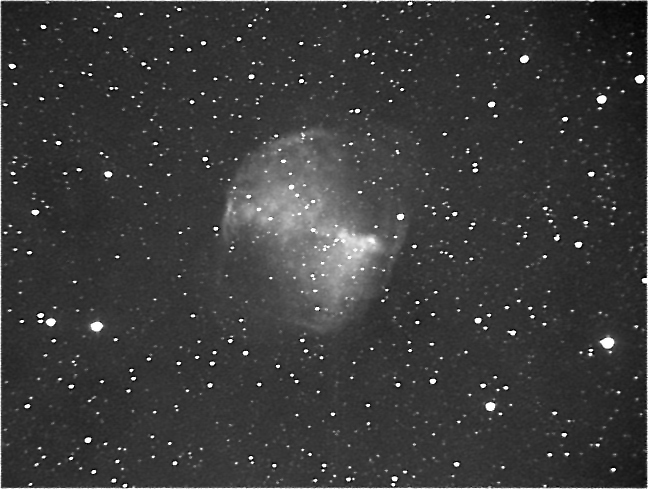 In this case using filters bring out the true colour of hydrogen associated with NGC 7380. Another superb and rich open cluster is NGC 7789 located in Cassiopeia. From Beta Cassiopeia aka Caph, head south west about 3 degrees and you will be rewarded by this magnitude 6.7 dense cluster of suns. Even some open cluster can be a challenge. On that note, might I suggest NGC 1444 in the constellation Perseus? Only two stars can be seen directly. Averted vision is required to two dozen fainter stars, all within a four arc minute tiny patch of sky. Don’t let the listed 6.6 magnitude fool you. It’s not easy visually. Of all the clusters at your disposal, M37 in Auriga is my favourite. Measuring three quarters the angular width of the moon, this magnitude 5.6 gem is a most. 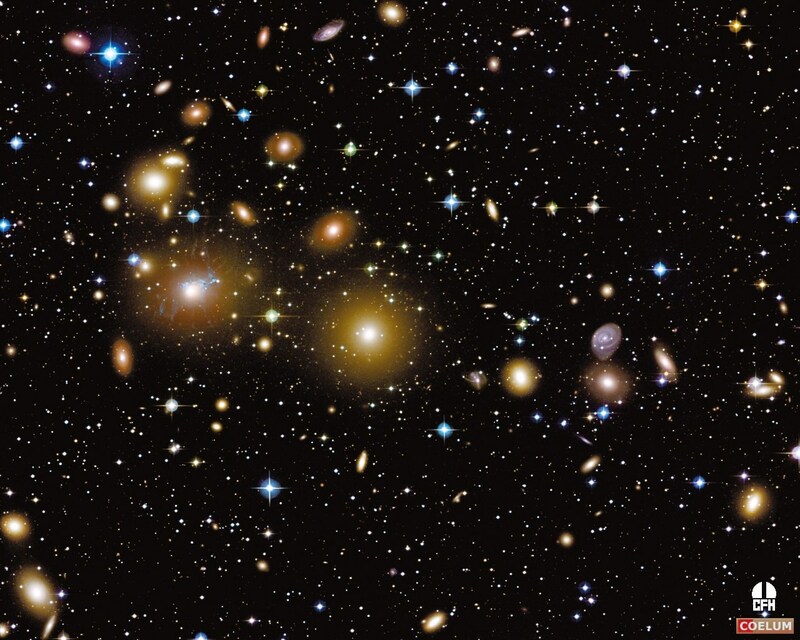 Astronomers have detected seven variables within the cluster. Three are confirmed eclipsing binaries, two are of the pulsing variety while the last two might be eclipsing but no confirmation on that. 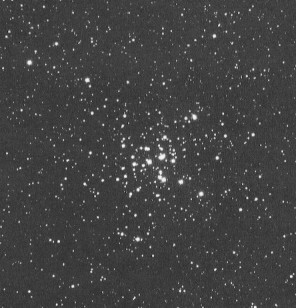 M37 is the left most cluster of a nice chain of clusters along with M38 and M36. For you galaxy lovers, Perseus is your constellation with fifty or so examples. One such galaxy would be NGC1275, the brightest at magnitude 11.6 in a chain of about ten fainter galaxies called the Perseus cluster of galaxies. NGC1275 is only 7 million light years whereas the cluster is estimated at a quarter of a billion light years from us. Jupiter, Venus and the thin waxing crescent with show an amazing conjunction When the sun sets on Dec 1st. Let’s hope for clear skies for this great Kodak moment. Throughout the month of December, Venus brightens to magnitude -4.4 and will dominate the skies except for the Moon. By the end of 2008, Jupiter will only be seen in twilight. But as we bid farewell to the king of the planets, we greet the king of the rings – Saturn. By the middle of the December, Saturn will rise around midnight locally. But when you swing your scope for the first time on the ringed world, you will notice the rings are not very prominent. Well you might say, there is always next time. The next plane crossing will be March 23, 2025 but again, Saturn will be ten degrees to the west of the Sun and low in the east before sunrise. The atmosphere will effect any clear seeing. At least the October 15, 2038 plane crossing, Saturn rises some two and a half hours before the Sun. A little less than 30 year to go. Full Moon aka the Cold Moon occurs on Dec 12th at 16:37 universal time (UT). This will be the largest moon of the year and higher than normal tides are expected. Moonlight will also hamper viewing conditions for the Geminid meteor shower on the night of the13th. The IMO predicts about 120 meteors to seen per hour but will drop with moonlight. Still – bundle up and head out to a flat area and enjoy the show. Fragments from the mysterious asteroid 3200 Phaethon will strike Earth's atmosphere as only 35 km/sec and will produce a beautiful slow moving display, despite the glaring Moon. At the time of writing this article, the Space Shuttle is wrapping up it mission at the International Space Station. The Station is still growing in size, making it easier to locate. There is however something else orbiting the Earth. Is it a bird…is it a plane…no it is the lost tool belt worth about $100,000. And congratulations to Kevin Fetter of Brockville, Ont. who was able to capture the back pack sized tool kit. Click on the 900 kb video in the linked article. And it is that time of year when we wish for that first telescope under the Christmas tree. When it comes to making that purchase for that special someone, make your purchase at a reputable telescope dealer. These people are dedicated to the hobby and will guide you on the right path. Most dealers repair on site and some might even have used ones for sale. Stay away from the department store and camera shop specials. They might seem like a great bargain but in the long run, will probably end up in your next garage sale. If you are still not sure, ask members of your local astronomy centre or astronomy club for help in choosing the right instrument. And lastly, winter solstice will occur on the 21st at 12:04 UT. This also marks the beginning of summer in the southern hemisphere. From here on, our nights will begin to get longer as the weeks fly by. Have a happy, healthy and safe holiday season. Till next year, clear skies everyone.